Commercial moving and office relocations require the assistance and expertise of office movers who provide a wide range of services that keep moving day on time and on budget. Fitzgerald Moving & Storage are FF&E moving experts that businesses throughout the Washington, D.C. area rely on for efficient service. Trained teams arrive on moving day to disassemble and move entire suites of furniture, large equipment and sensitive fixtures in preparation for delivery to your new location. Carefully wrapped, packed and padded, your furniture and equipment is loaded onto our reliable trucks for transportation, and upon arrival the entire contents are moved into your new location. Re-assembly of cubicles, conference rooms, office furniture, etc… is completed quickly to minimize downtime and disruptions of day-to-day operations. 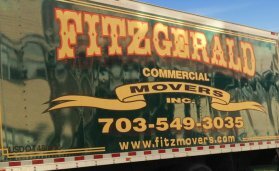 With more than 35 years of commercial moving experience, Fitzgerald Moving & Storage has assisted businesses with every detail of FF&E moving and office relocation, providing the planning, manpower, equipment and efficiency to handle any job from start to finish. We stay on schedule and on budget while ensuring every desk, every computer and every single piece of furniture and equipment is carefully packed, tracked, transported and delivered from the current site to the new location. In addition to efficient FF&E moving services, Fitzgerald Moving & Storage offers FF&E clients secure storage options for both short and long term accommodations. With over 500,000 sq. ft. of space from which to choose, clients find our storage solutions for their excess furniture and equipment very convenient during renovation or remodeling. To get started we invite you to complete the Get a FREE Quote form provided, or Contact Us and a member of the Furniture, Fixtures & Equipment moving team will be in touch to discuss your commercial moving needs. Fitzgerald Moving & Storage has the knowledge and experience to handle all the specific details and manpower of any FF&E assignment.